LED light accessory Heat Sink ø50mm x h30mm/50mm; Design for Spotlight and Downlight 700~1600lm; Rth 5.0~6.8°C/w; Suitable for 5W/8w/10/12w/15w; Self-taping hole or custom mounting holes for Zhaga book 3 and book 11 LED modules; Standard finish-Black anodized. MINGFA is certified by various qualifications. We have advanced production technology and great production capability. 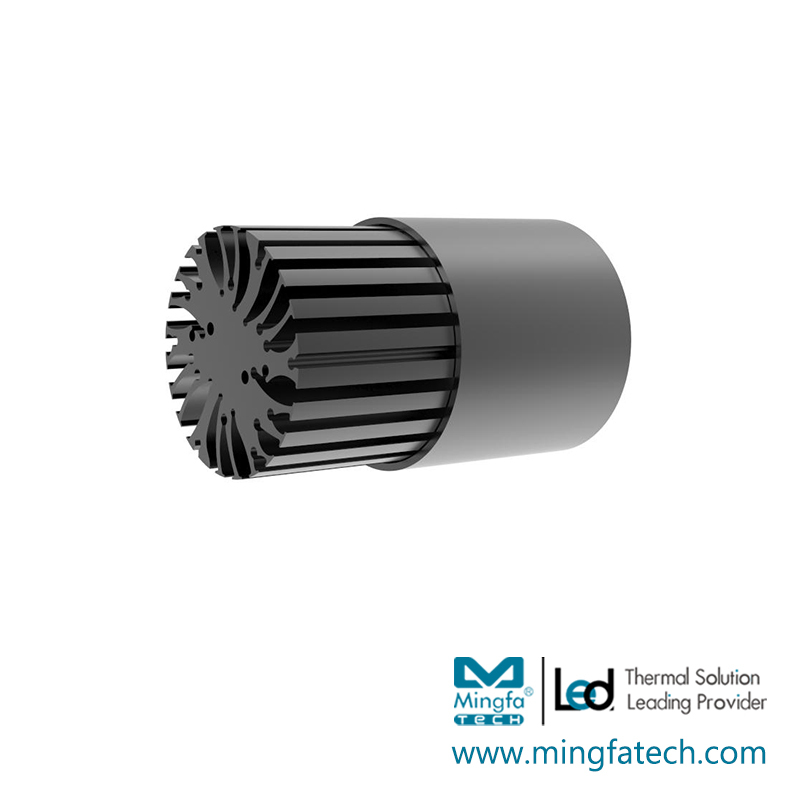 led light housing has many advantages such as reasonable structure, excellent performance, good quality, and affordable price.MINGFA's led heat sink are widely recognized in the market. They are all produced with selected quality materials. They have the features to be anti-corrosion, moisture-proof, anti-oxidation and heat-resistant. Compared with similar products, they are highly cost-effective and can be used for a long time.led light housing's outstanding advantages are as follows. In recent years, MINGFA selected and trained outstanding talents from many well-known institutions at home and abroad, who are of great importance to our talents team. This makes a contribution to our company's sustainable development. MINGFA takes strict monitoring and improvement in customer service. We can make sure that the services are timely and accurate to meet the needs of customers. Looking forward to the future, MINGFA will adhere to the management idea of 'integrity-based, innovation-driven'. Moreover, we support and cooperate with each other to gain mutual benefits. By improving product quality and brand value, we enhance our comprehensive competitiveness. Our goal is to gain a dominant position in the industry. MINGFA spreads the marketing network to every major city in the country. 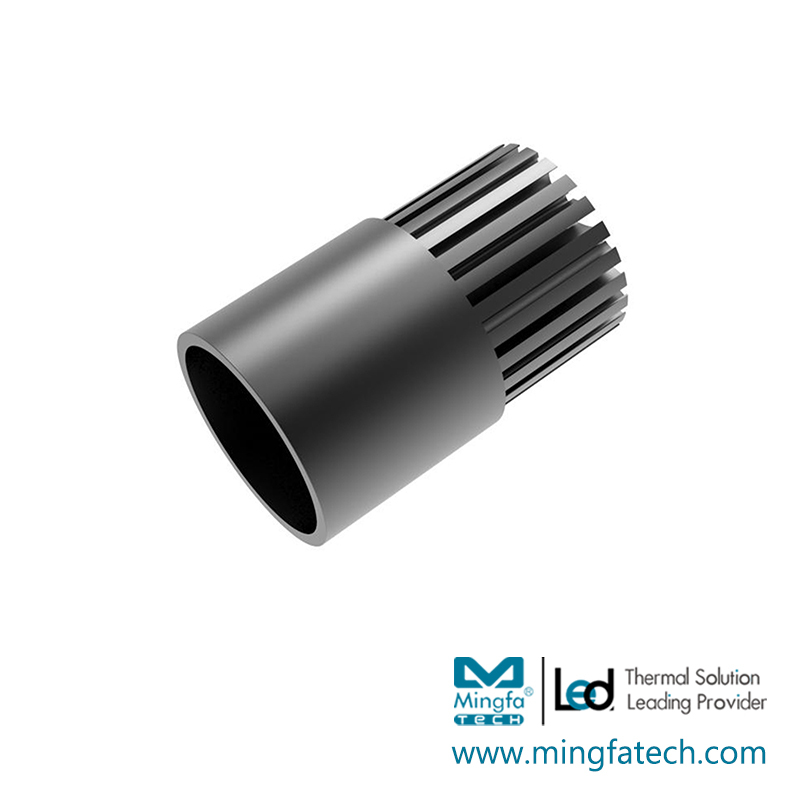 led heat sink are deeply favored by the vast number of customers. 1. MingfaTech Manufacturing Limited is an excellent can light housing supplier in China and has undertook many led downlight kit production tasks for years. 2. MingfaTech Manufacturing Limited has strong capital and technical back-up for recessed housing. 3. The core concept of MingfaTech Manufacturing Limited is to create thoughtful products for everyday living. Inquire!